First gaining attention back in 2004, by tech world standards podcasts are practically dinosaurs. Yet despite all of the flashy, fun new technology and media that has launched in the intervening decade, podcasts have only grown in popularity, both as a forum for entertainment and a tool for education. Some, like the recent Serial, have even become cultural phenomena. But while podcasts may be a large and even growing part of popular culture, the inner workings of making one and figuring out how to use it in an educational setting aren’t always clear cut. So, to help you bridge the gap, here’s a quick and dirty guide to everything you need to know to get started writing, editing, and sharing your own podcasts. According to the New Oxford American Dictionary a podcast is a “digital recording of a radio broadcast or similar program, made available on the internet for downloading to a personal audio payer.” In other words, it is a digital audio file that is created, shared and heard. Podcasts can also be in the form of videos streamlined online, which are known as vidcasts or, more commonly, vodcasts. The word podcast itself comes from the iPod, though podcasts don’t require an iPod (or iPhone or iPad in today’s modern era) to be played; they can be accessed and created on any device that supports MP3 and audio recording. Why use a podcast instead of some other form of media? In many cases, you made opt for a podcast because it’s a format the best suits the subject matter or is that is what you feel most comfortable using. After all, not everyone loves being on video nor does every subject require visual illustration. Podcasts also offer educators an easy alternative way to provide course content, whether in the form of lectures central to the course or in supplemental materials like interviews with experts and discussions on issues central to a course. And because creating basic podcasts doesn’t require expensive equipment or software, students themselves can also play a role in planning and engaging with each other or you as the instructor. From the student perspective, podcasts can be appealing for a variety of other reasons. Not only do they have a certain appeal simply by being a medium that students are familiar with, they’re also easily downloadable (or streamable) through devices students use on a daily basis, like smartphones, tablets, and laptops. This allows them to choose their access point, which is presumably a device they already know how to use. Put simply, there’s a very shallow learning curve with podcasts. Because podcasts are incredibly mobile device-friendly, students, especially those who are not full-time and must balance work and family life with school, will find their anywhere anytime accessibility a bonus, allowing them to listen while doing other activities, something other mediums may not offer quite so readily. Of course, podcasts may not be the right solution for every instructor or every student. There are accessibility issues to consider and many subjects may just be better suited to a more visual medium. Additionally, it may take some time and practice to create podcasts that are high quality and will last beyond a single semester. Each instructor will have to weigh the pros and cons to determine if the format is best for their individual course. Podcasts can actually be an incredibly versatile tool in the modern classroom, online or off. Here are some of the ways that you can use podcasts in your courses, inspired by the way many in education are using podcasts today to interact with students and facilitate learning. Record classroom expectations at the beginning of the year. Hate being on camera? Give your students a personal welcome in an audio format instead, laying out what to expect and offering some tips for success on the first day. Classroom lectures. Bring recording tools with you to class or review your lecture in your office to offer students who might have missed class a chance to hear your lecture in audio format. This can also be a great record for yourself from semester to semester. Supplemental information. Class time is limited and there may not be time to address every aspect of a topic that students might find interesting. Use short podcasts as a way to touch on this supplemental information that’s outside of the core content of the class but still of interest. Testing review sessions. Test review can be key for students, especially in courses where they will be taking state exams for certification in their fields. Podcasts can be a quick and easy way to review the most important topics with them and ensure they’re focusing on the right things for their exams. Record classroom discussions. Sometimes, classroom discussions can be really amazing and insightful. Recording these for yourself can help you to hone your facilitation of these talks and ensure that you’re pointing students in the right direction each and every semester. Help students with different learning styles. Some students just learn better when they have audio recordings to listen to instead of reading material on Blackboard. Podcasts give them another option for taking in course content that may keep them more engaged and absorbing information. Share teaching advice with other educators. Podcasts don’t always have to be directed at students. Share your experiences with your fellow academics, within your department or in the larger community. Use for student projects. There’s no rule stating that course-based podcasts have to be created by instructors. Podcasts can be a great format for student projects, too. If your course format and content permits it, having students build radio broadcasts, digital storybooks, student reviews, and conduct interviews via podcast can be a great way to give new life to an existing assignment. Supplement course material with outside experts. Whether you’re interviewing experts on a topic yourself or just passing along their podcasts, there’s a lot of potential for drawing students into a subject through connecting them with others in the field, especially big names they might be more willing to go out of their way to hear speak. This is hardly a complete list of the way podcasts can be used, but it can help get you thinking about the kind of application audio files may have in your own courses and provide some building blocks that will get you started. Now that you have a better idea of how you can use podcasts, it’s time to get into the nitty gritty of how you actually brainstorm, produce, and share a podcast. Here’s a really basic step-by-step guide to the podcasting basics. Determine your content and focus. The first step is often the hardest or at least the most time-consuming, and podcasting is no exception. You’ll need to take a fair amount of time to figure out what it is you want to say or what content you want to cover in your podcast. Remember, you want to have a fairly narrow topic for each podcast so that it doesn’t become overwhelming or allow you to ramble in a way that will lose listener interest. And you’ll also need to establish a goal for the podcast, whether that’s helping students meet a learning objective or just making connections to others in your field. Get the equipment you need. Microphone– Any microphone will work, but choosing a higher quality model will make a difference. Look for reviews to find one that fits your needs and budget. Typically, a USB version will be a better choice for a beginner, as it does not require purchasing any additional equipment. Headphones– These will allow you to hear your audio as your listeners will and you can use virtually any headphones you already have. Computer– Again, if you have a computer (Mac or PC) or access to a lab on campus, it should work for podcasting. Just make sure you have an open USB port and that your computer runs at least well enough to handle the demands of audio editing software. Audio Recording and Editing Software– Really high end audio software can be pricey, so when you’re just starting out using an open source tool like Audacity is probably your best bet. You can download it for free–check out the link below. Some labs on COD’s campus may also have audio editing software you can use. If you don’t want to purchase these items yourself, or just want to dabble, come in to Learning Technologies to use our equipment and software. We have all the equipment you’ll need to get started, plus a dedicated recording space. Develop a script or outline. You don’t need to write down every word you plan to say, but you do need to at the very least have an outline of talking points for your podcast. This will ensure you stay on topic and won’t forget anything you really wanted to talk about. Once you really get the hang of podcasting this may be less necessary, but make it easier on yourself at first by having a pretty good idea of exactly what you want to say and how long it will take to say it– you may find you need some editing and fine-tuning to get it right. Open up your audio recording software, create a new project, and just start talking, following your script or outline. If you mess up, don’t worry about it; you can edit it later. Edit and review your content. After you’ve finished recording, it’s time to see what you’ve got. Listen to your podcast all the way through. Note at what points you want to make changes or add transitions (maybe some public domain music?). Then, use your editing software to go in and adjust things. You can find some more in-depth instructions here or on the Audacity site. Adjust your file type to MP3. If it’s not already, make sure that your file is saved or exported as an MP3. This will make it easy to upload and share in a wide range of places. Learn how to export here. Now that you’ve got a super cool podcast recorded, it’s time to share it! You can post it directly in Blackboard, email it to students, or put it on an audio site like SoundCloud or PodOmatic. Where and how widely you share is up to you. Just make sure its in a place and format that is easy to access and download. And don’t forget to have fun! Podcasting should be enjoyable for you, not a chore. If it’s not, consider another format. What tech do you need to get started podcasting? Really, not a whole lot, but if you’re looking for free or cheap tools that can help a beginner hone his or her craft before investing in something more serious, these applications, websites, and programs are a great place to start. Audacity This is one of the most popular free tools for podcasting. It’s open-source, cross-platform and makes it fairly simple for even relative novices to record, mix, and otherwise edit audio files. FeedForAll What will you use when it comes time to publish your podcasts? If you want to share them widely, you’ll likely want some kind of RSS creation tool, and this relatively low -cost solution can fit the bill. If you like it, you can also try out their podcasting tool, RecordForAll. iTunes iTunes isn’t just a great place to download podcasts, it also contains a lot of useful resources for making your own and sharing it through the software. Don’t forget to check out iTunesU— COD has a account and it can be a great place to showcase your very best podcasts. PodOmatic Another great option for hosting your podcasts is PodOmatic. You can upload your files, share them with students or the world, and develop strong connections with others in your field through the social aspects of the site. Podcast Generator This open source podcasting CMS is easy to customize, can be installed quickly, and mostly takes care of the dirty work for you– a great tool for beginners. The Education Podcast Network If you need inspiration or want to share your podcasts with the larger academic community, this site is a must. There are thousands of podcasts to choose from on a wide range of topics. We couldn’t possibly cover everything you need to know about podcasting in a single post, so to keep learning, check out some of these great online resources for learning about podcasting, finding great podcasts for inspiration, or getting help with both the technical and pedagogical aspects of educational podcasting. 7 Things You Should Know About Podcasting Educase’s guide to podcasting covers the who, what, why and how of podcasting. How to Start Your Own Podcast Lifehacker offers a great guide on the steps you’ll need to take to get a podcast up and running. Support for Progressive Educators: Podcasts Educational consultant and teacher Gary Stager provides a HUGE list of resources and information on educational podcasting on his site. 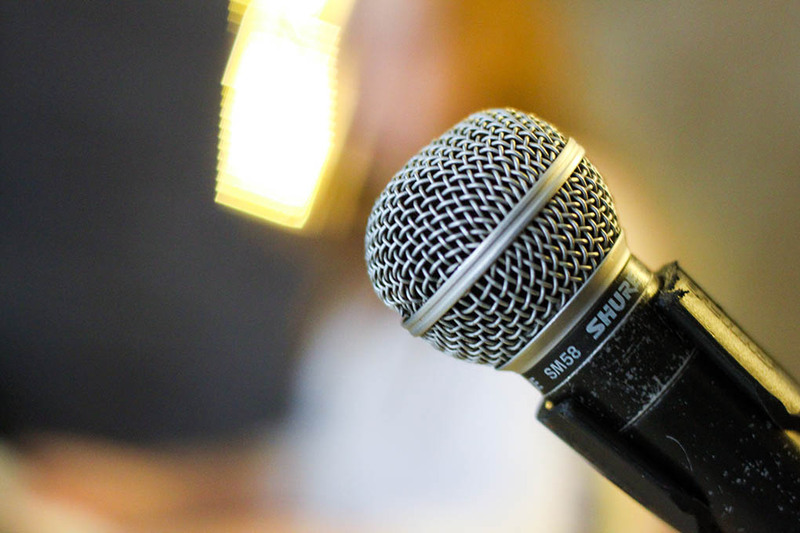 Podcasting Legal Guide Curious what legal issues might arise in creating and publishing a podcast? This Wiki can help. Best Education Podcasts Find lots of super inspiring podcasts created by educators through this annual list published by Edutopia. Podcasting Hacks: Tips and Tools for Blogging Out Loud This well-reviewed book will give you some useful tips and advice you can use in building a better podcast. This entry was posted in Features and tagged Ed Tech, Online Learning, Podcasting, Podcasts. Bookmark the permalink.